The National Institute of General Medical Sciences of the National Institutes of Health (NIH) has awarded a five-year grant of more than $3.6 million that will continue to support the Initiative for Maximizing Student Development (IMSD) program at Wayne State University. Rasheeda Zafar (far right), program coordinator for the Initiative for Maximizing Student Development, said the IMSD is a catalyst for institutional changes that enhance the future success of all STEM and biomedical science students. The WSU-IMSD program, established in 1978 with NIH support as the Minority Biomedical Research Support (MBRS) program, was developed and has been led by Joseph Dunbar, Ph.D., associate vice president for research at Wayne State, along with Rasheeda Zafar, Ph.D., the program’s coordinator. WSU-IMSD’s goals are to facilitate the entry, persistence and success of significant numbers of underrepresented minority students into science majors, ultimately guiding them to pursue careers in academics and scientific research. 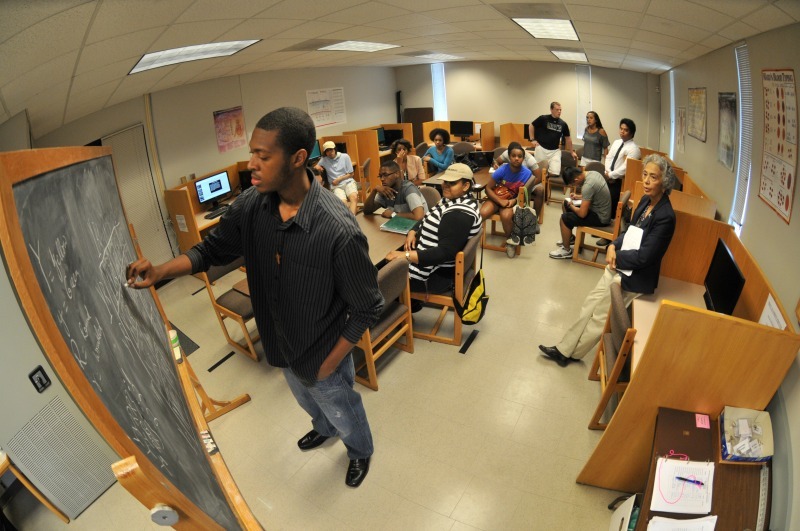 According to Dunbar, many undergraduate students that are exceptionally talented and high-achieving — particularly students from disadvantaged backgrounds, first-generation college students, and/or underrepresented minority students — lack the academic tools, persistence, confidence and developmental mentoring necessary to persist effectively in a college environment. The impact of the program over the years has been significant, with IMSD student graduation rates at 87 percent, compared to 21 percent for the comparison group of underrepresented minority, non-IMSD students at WSU with comparable high school GPAs and ACT scores. In addition, 64 percent of the IMSD students have gone on to pursue further degrees, compared to just 11 percent of the comparison group. The award number for this National Institutes of Health grant is R25GM058905.